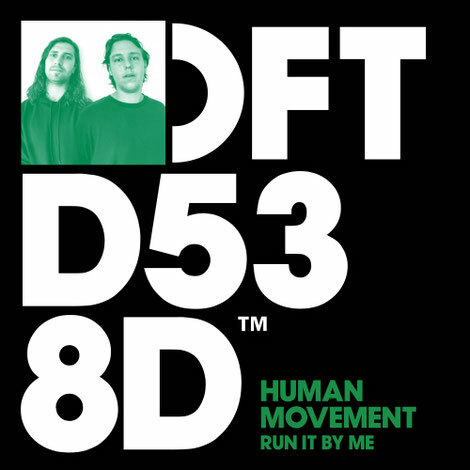 Possibly an Australian duo on the rise, Human Movement make their debut on Defected with a dual single demonstrating their natural talent. ‘Run It By Me’ features indie-style vocals from Eliot Porter and ‘Help A Brother Out’, with its more direct club approach, shows a depth of house music knowledge that has so far caught the attention of the likes of Joris Voorn and Richie Hawtin. They recently had one of their live mixes featured by Resident Advisor as their ‘Mix Of The Day’ and have gained support from Triple J, Beats 1 Radio and BBC Radio 1. Here on a straight house tip, the title track is a sparky melodic house track with a soulful vibe, whereas ‘Help A Brother Out’ uses cowbell accents over a rolling bassline.